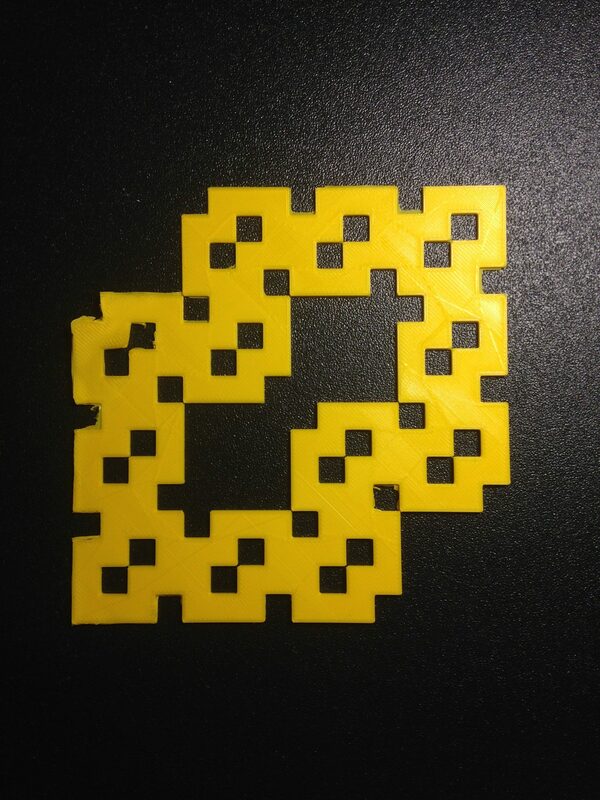 For my fractal, I removed the coordinates [0,0], [2,1], [1,2], and [3,3]. 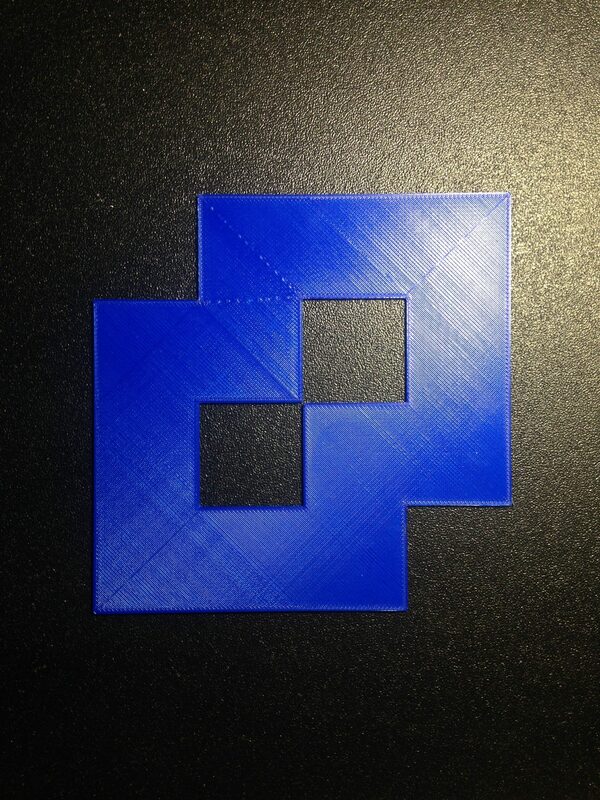 This created a shape that is symmetrical and that is why I like it. If you turn it a little, it looks like the number ‘8’ but with straight lines instead of curved ones. 16 – (1×4) = 12. 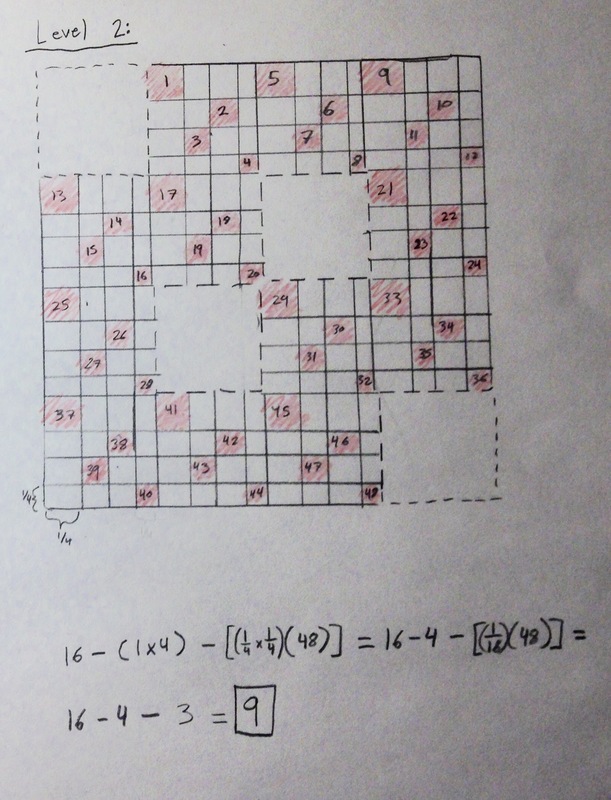 For the area of level 2, I took the area of level 1 ([16 – (1 x 4)] or 12) and subtracted the area of a medium sized square (1/16) times the number of medium sized squares removed (48). 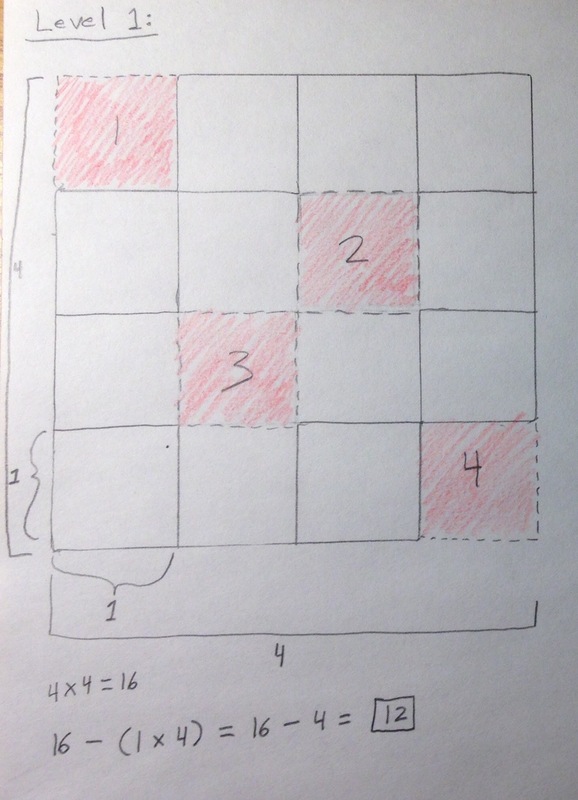 For the area of my level 3 fractal, I took the area of level 2 (12 – (1/16 x 48) or 9) and subtracted the area of a small sized square (1/256) times the number of small sized squares removed (576). To use it, I need to know what ‘a’ and ‘r’ are. 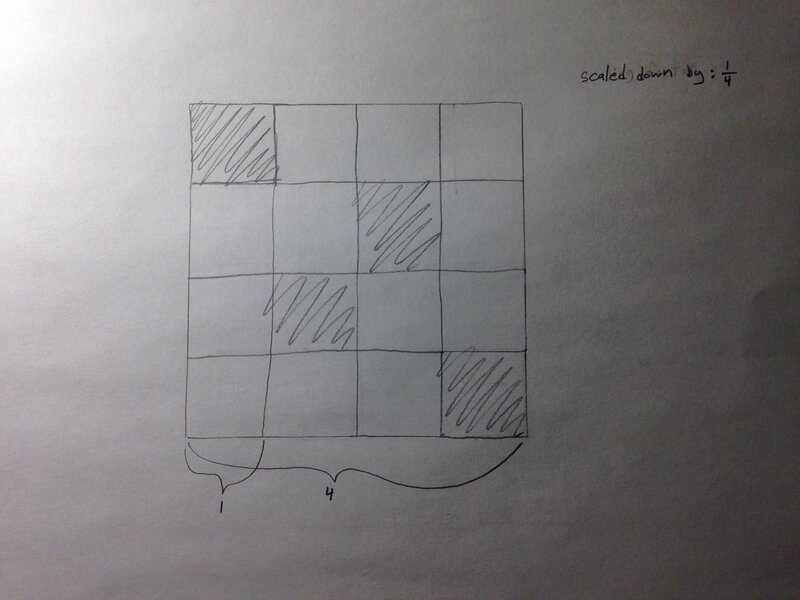 We solve and end up with 4 x 4 which is 16 which is surprising because that is the area of our original carpet fractal. To find the dimensions, we need to look at the linear scaling factor and how many of the scaled down versions of the fractal make up the whole fractal. The linear scaling factor is how many pieces the bottom line is divided into. In this case, the linear scaling factor is ¼. 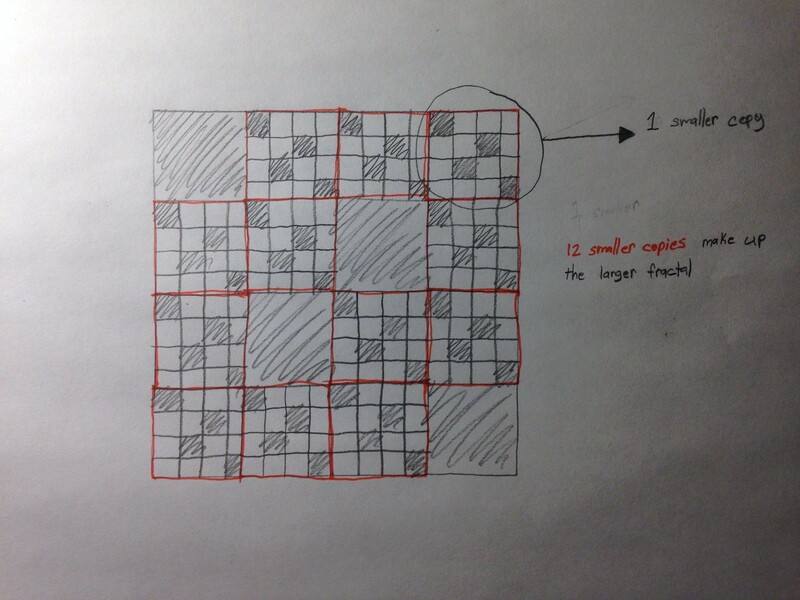 The other number we need is how many smaller copies make up the larger whole fractal. 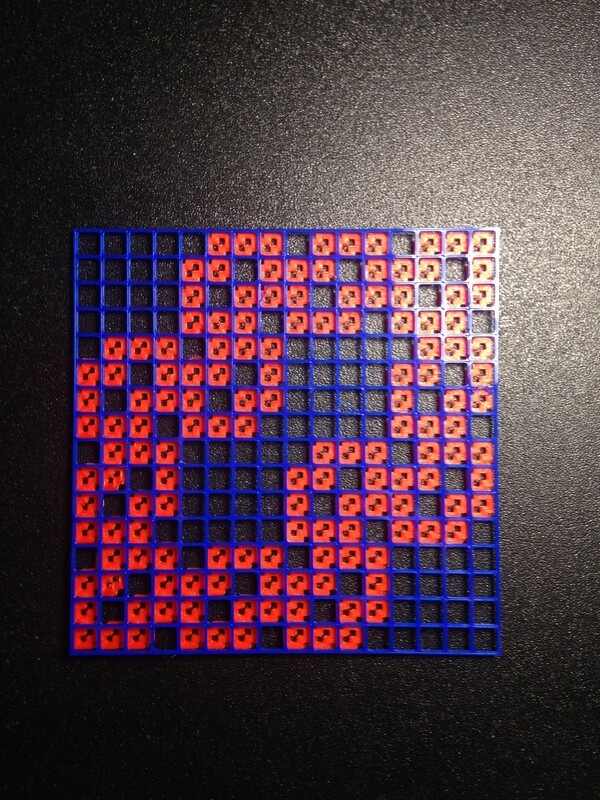 In this case that number is 12.
so the dimension of my fractal is 1.79, neither 1 nor 2 dimensions. Here is a link to my fractal on Thingiverse.